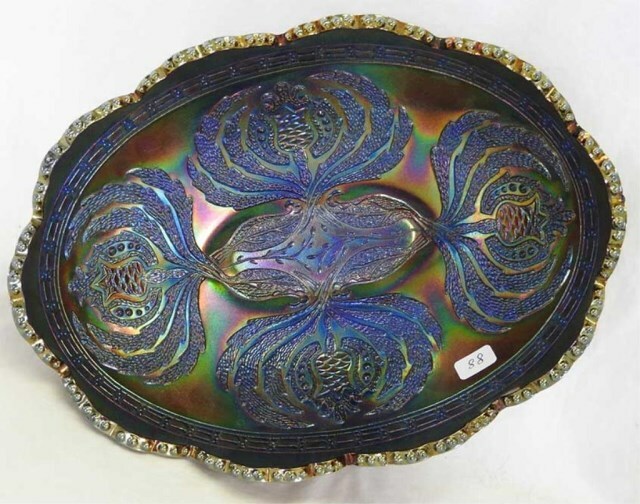 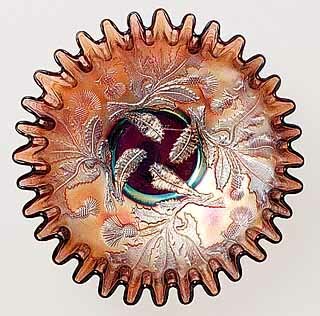 Fenton used two molds to make this pattern. 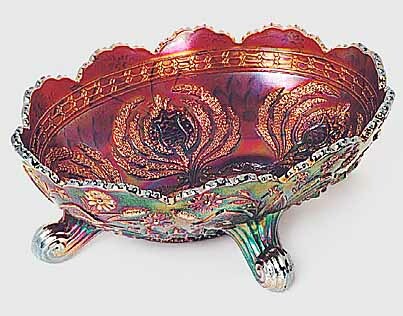 One was used to make the bowls and rare plates, the other to make the banana boats. 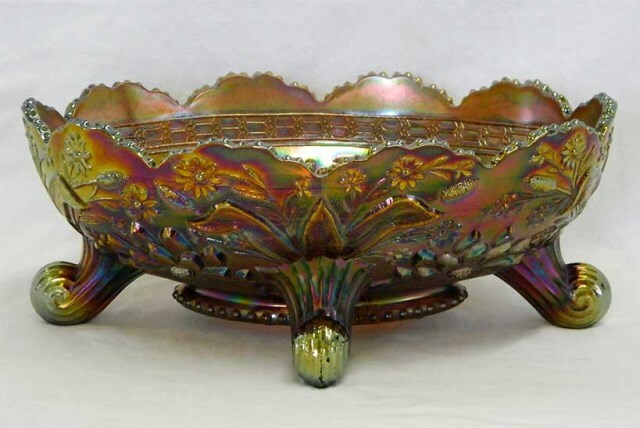 Bowls are found in ruffled, three-in-one, ice cream shape, and the tight crimped versions shown above left. 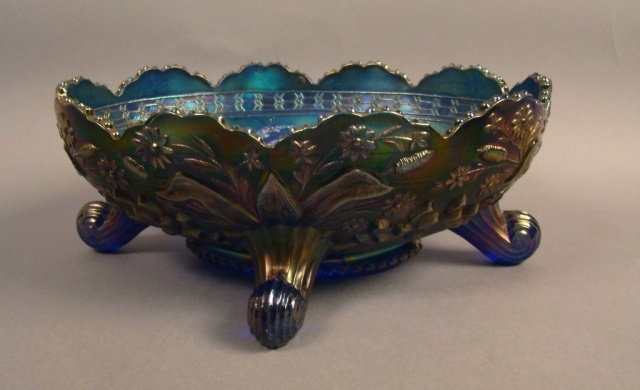 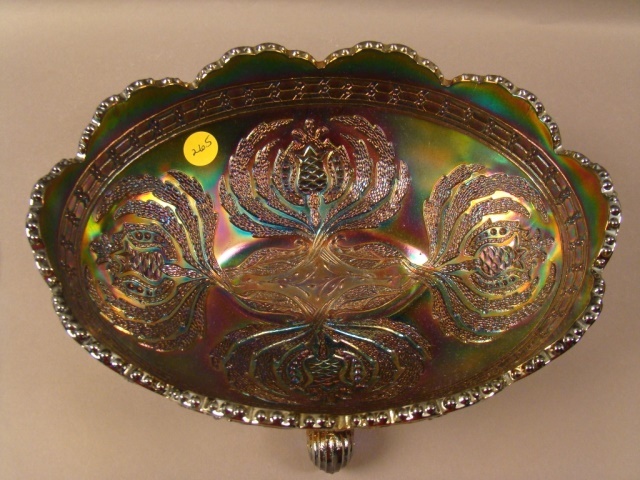 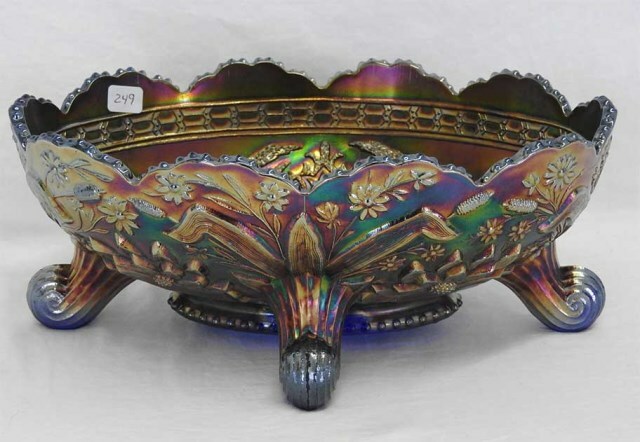 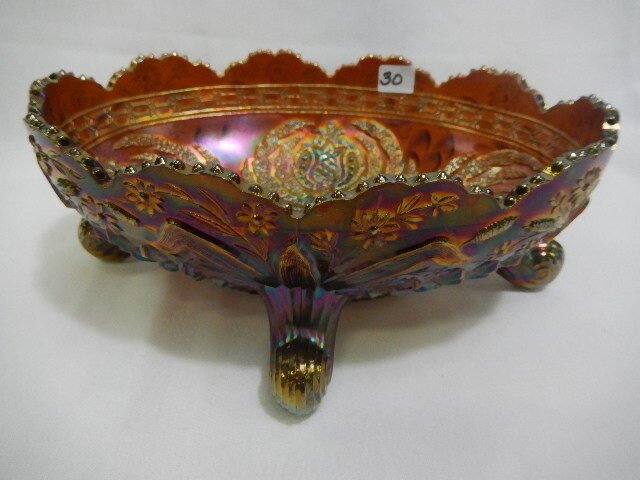 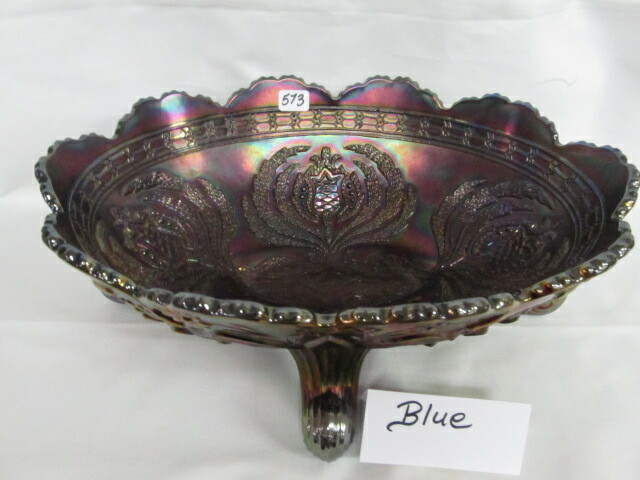 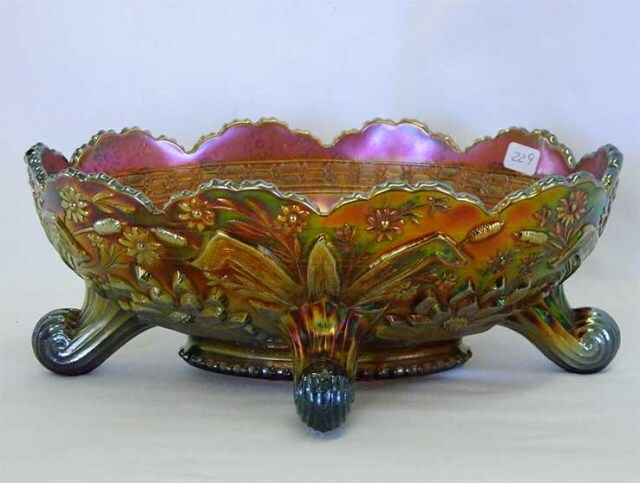 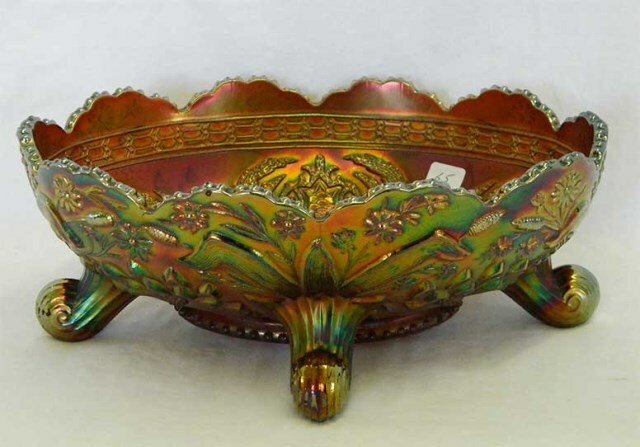 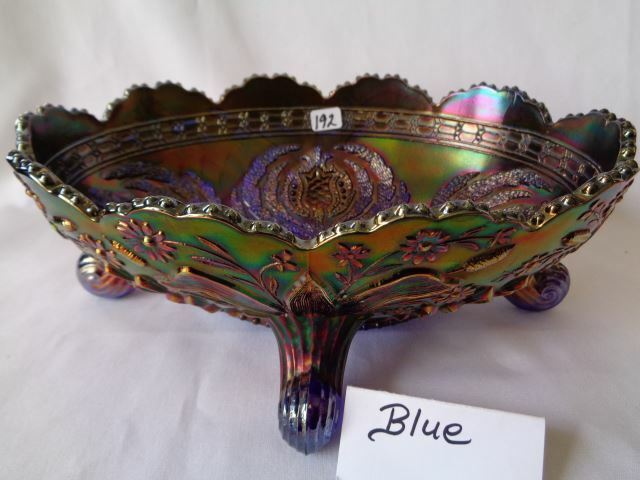 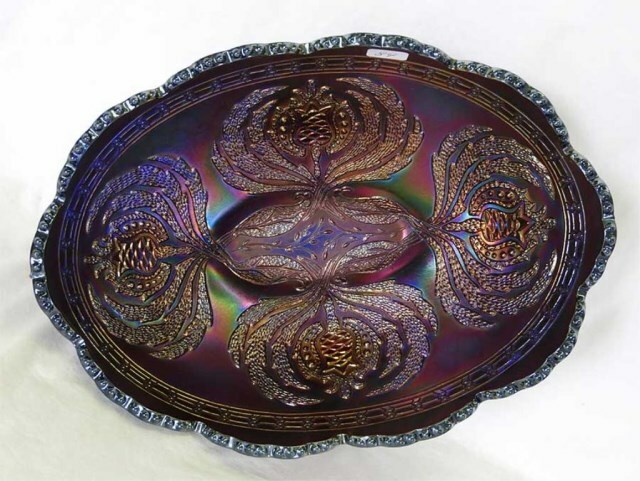 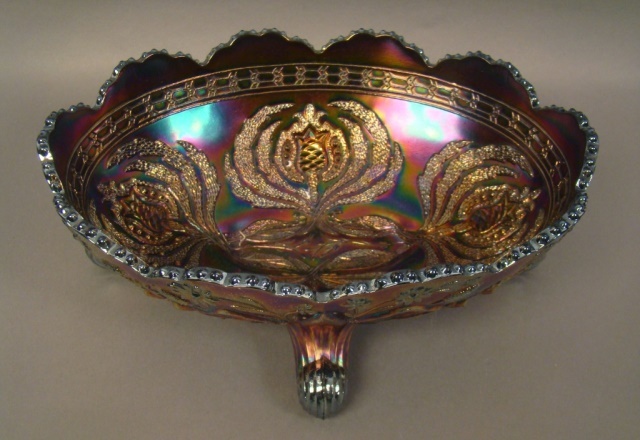 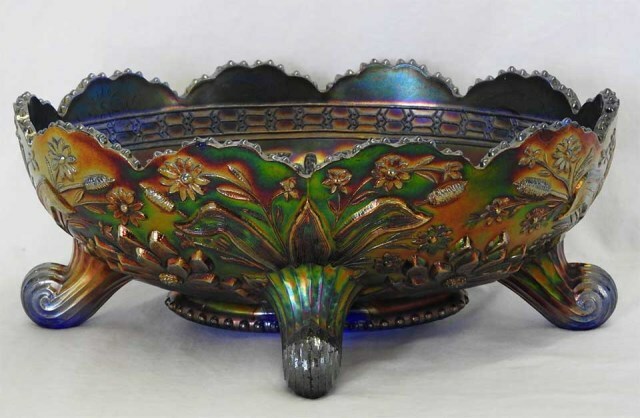 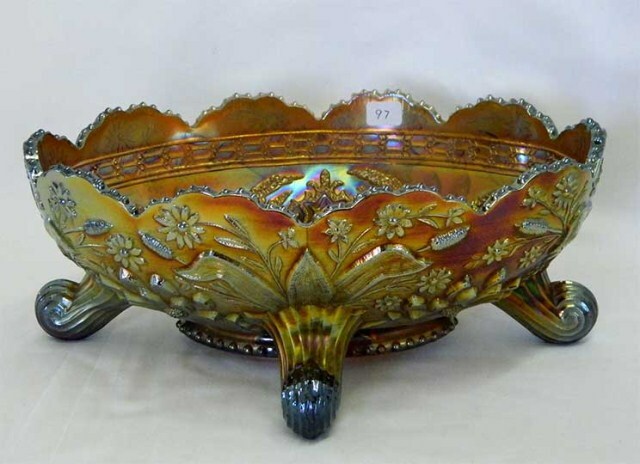 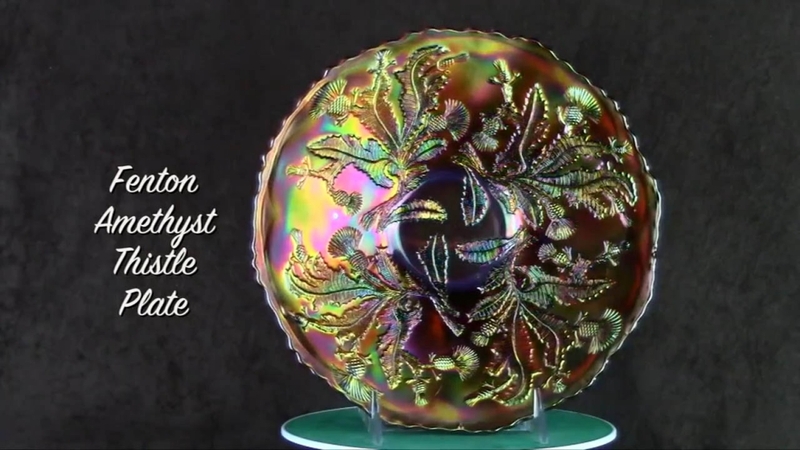 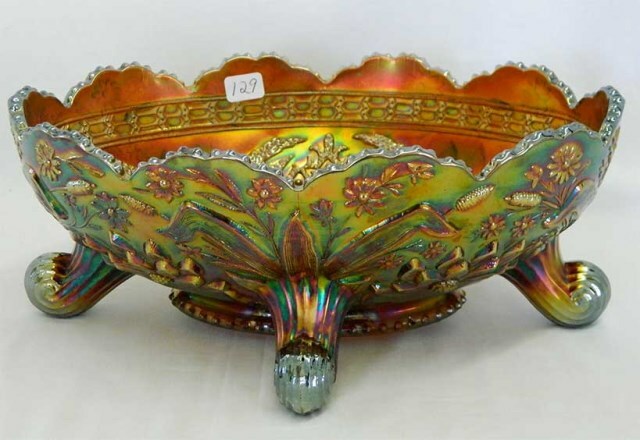 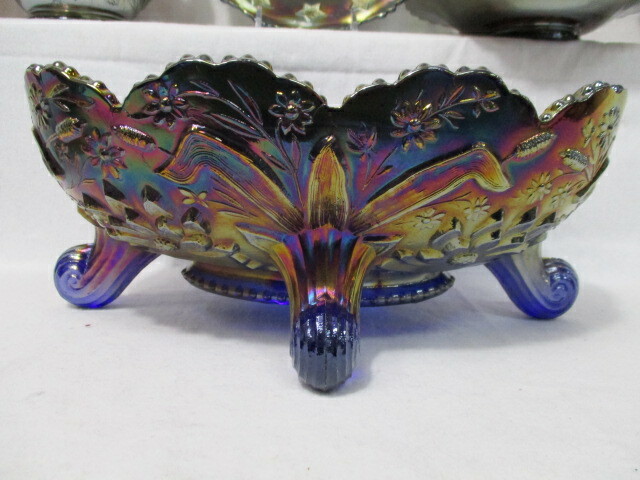 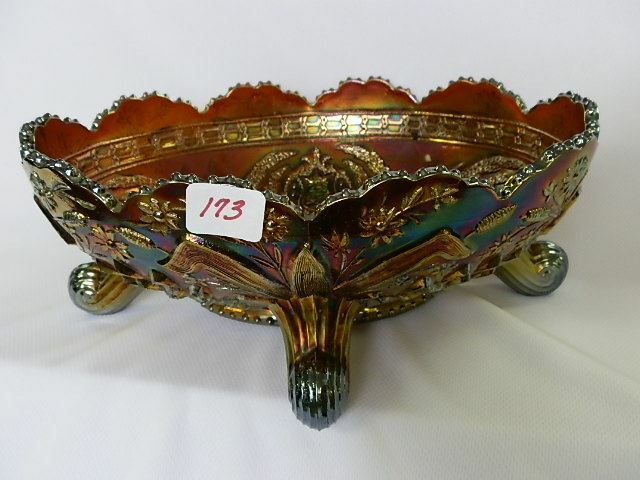 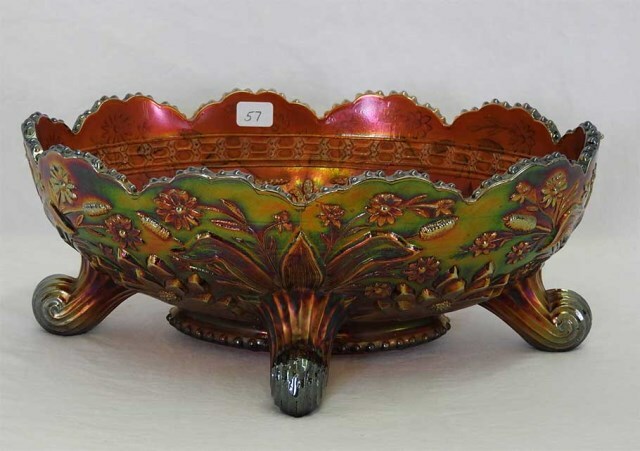 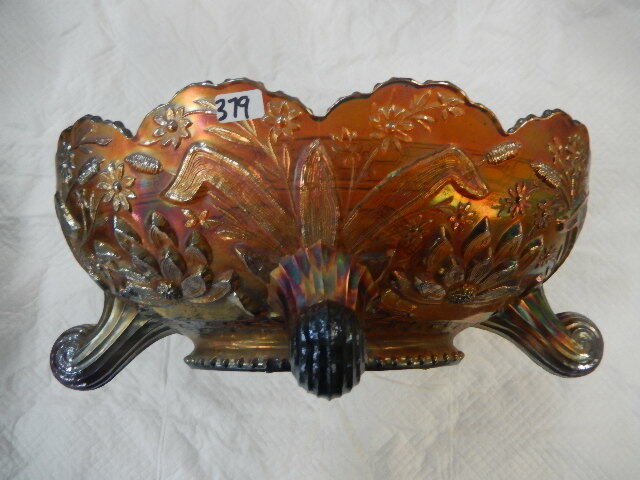 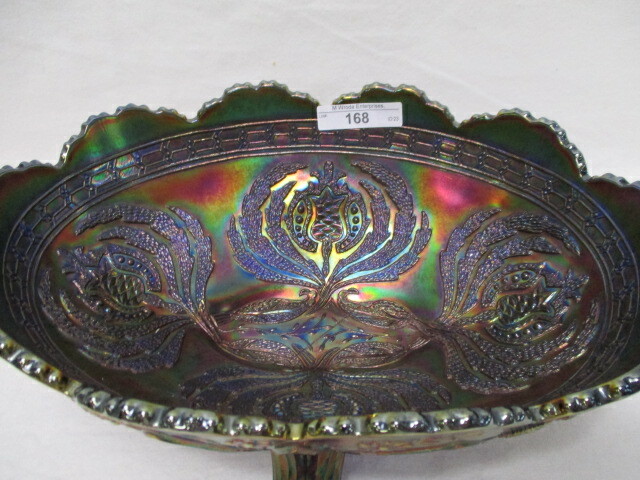 While this crimped edge in some Fenton patterns bring a premium price, this doesn't seem to be the case with Thistle. 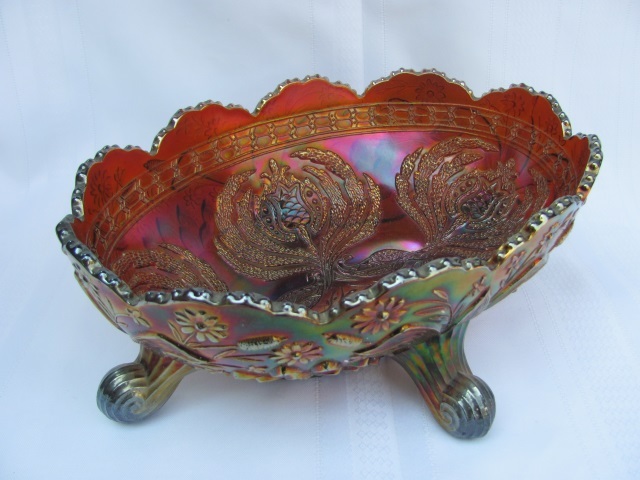 The banana boat, as shown on the right, has the Waterlily and Cattails pattern on the exterior. 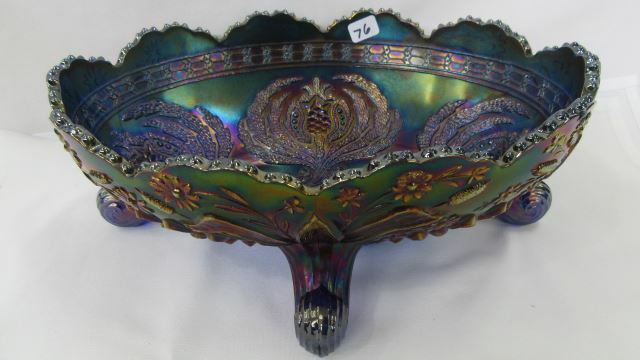 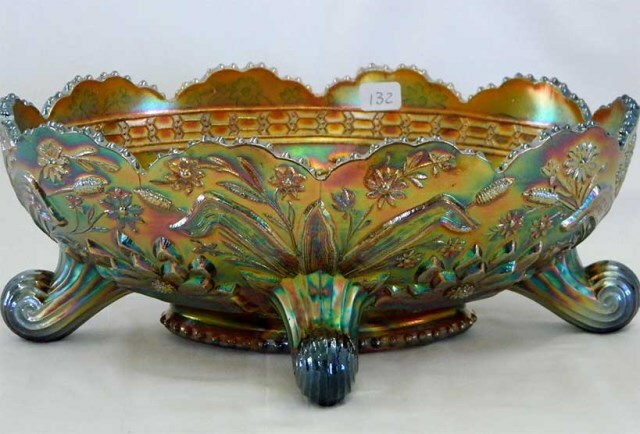 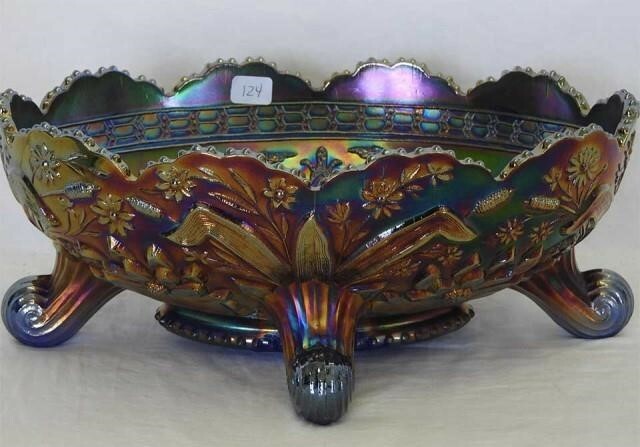 A related Fenton pattern is the Scotch Thistle, found only in compotes. 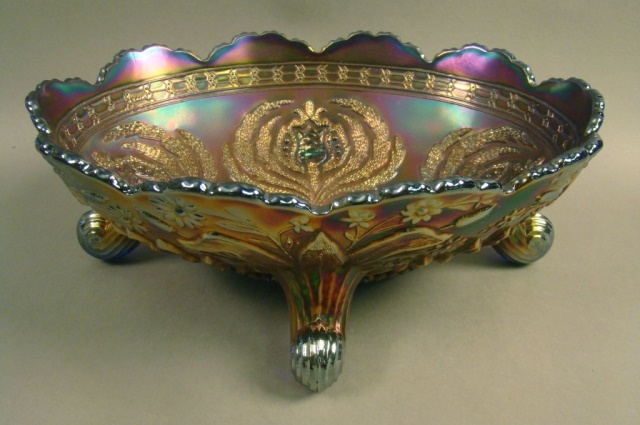 Fenton used the bowl/plate mold to make advertising pieces for a company called Horlacher. 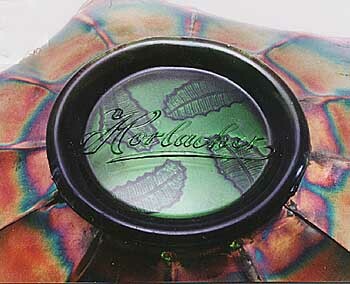 As shown in the photo to the left, the word “Horlacher” is molded in script on the base of bowls.